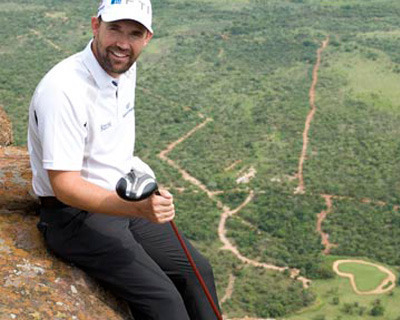 Pádraig Harrington has received a priceless Masters invitation - but only to play in next Wednesday's Par-3 Contest. The Dubliner, a three-time winner of the curtain raising Par-3, still needs to win this week's Shell Houston Open to clinch the last available place in the Masters field. According to the Irish Independent, Harrington has received an invitation to compete in the Par-3 which he won in 2003 (with David Toms), 2004 and 2012 (with Jonathan Byrd) and while he has been on the road for four weeks, it would not be beyond him to turn up in Augusta even if he's missing the season's first major. Ireland has three players in the Masters, headed by world No 7 Rory McIlroy, No 14 Graeme McDowell and 2011 Open winner Darren Clarke. Clarke and McIlroy are also in action in Houston this week in their final warm up before heading to Augusta. Harrington keen to prove Par 3 jinx to be "baloney"
The ninth green at Augusta National’s Par Three course.Padraig Harrington won’t be getting jittery about the Masters Par-Three jinx after becoming the first player to win it three times. The Dubliner fired a five under par 22 to share the title with Jonathan Byrd after lightning storms forced the annual eve of tournament to be cancelled.